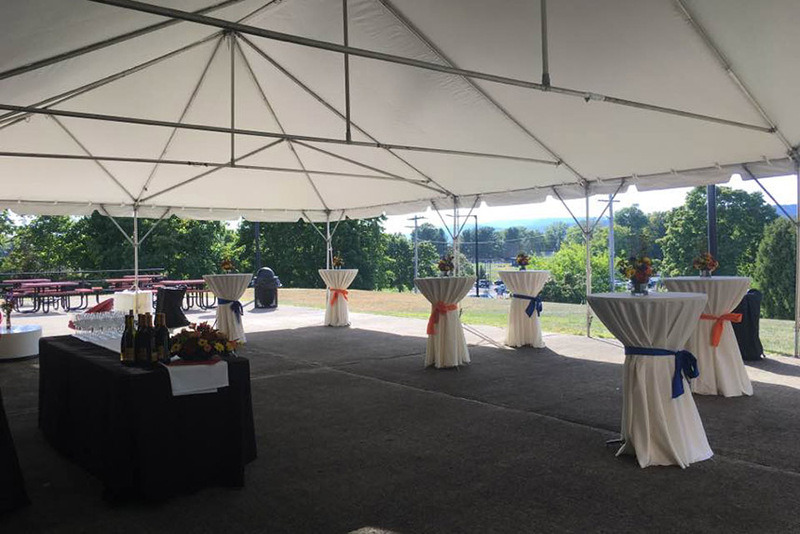 SUNY New Paltz has the space to accommodate your next conference, banquet or meeting. Media-rich conference rooms and specialized meeting areas, configured to your specifications, allow us to accommodate groups of different sizes and needs. We'll also work with you to ensure that your technological and dining requirements are met. This is a spacious banquet hall perfect for dinners, awards ceremonies, and other special events. 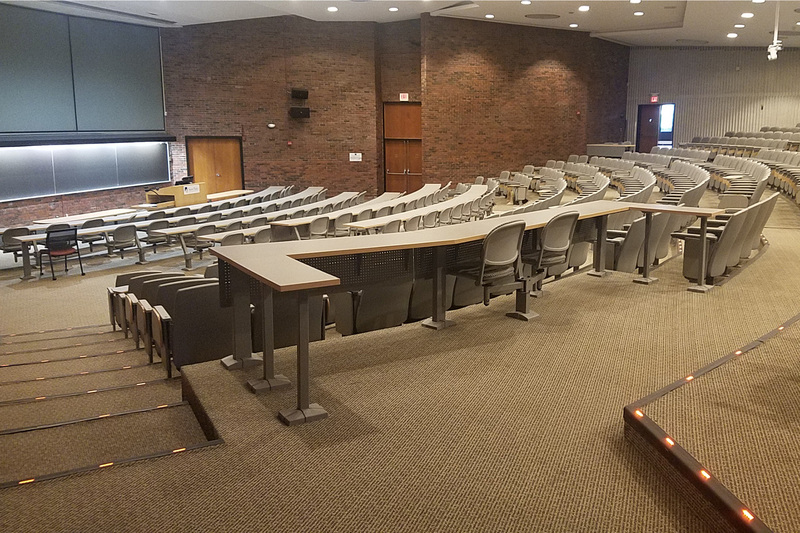 We have seating for 100 as well as technology for presentations, and a podium with a microphone. This space has a beautiful outdoor seating area, as well. This centrally located atrium gives us the “New Paltz View”. Inside, there are a myriad of rooms for all types of events. This is great for larger conferences, parties, special events, and networking opportunities. With the combination of lecture-style and classroom-style rooms, this is ideal for any large conference. There are many different sized rooms all located around two large lecture-style meeting rooms. They are all fully equipped with computers, screens, audio, and microphones. Located in the beautiful Hudson Valley, we like to take advantage of our sprawling lakes and scenic views. 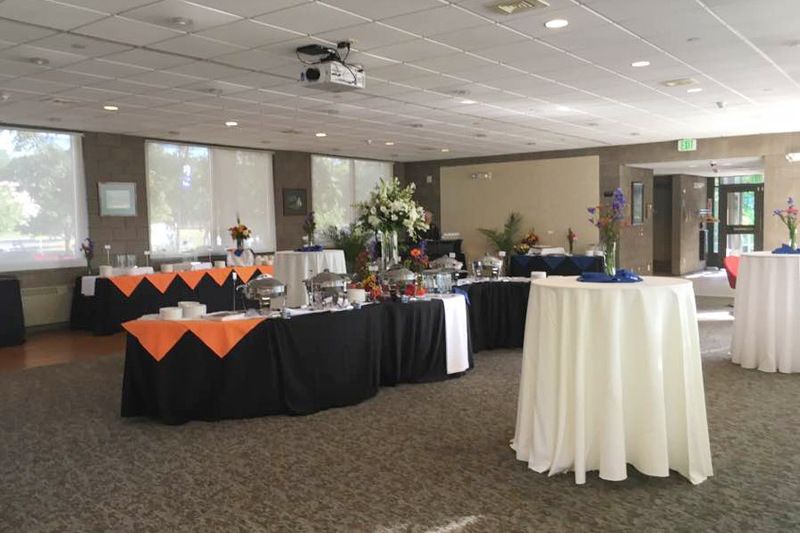 There are many places on campus that are perfect for events, such as luncheons, games, weddings, and parties. 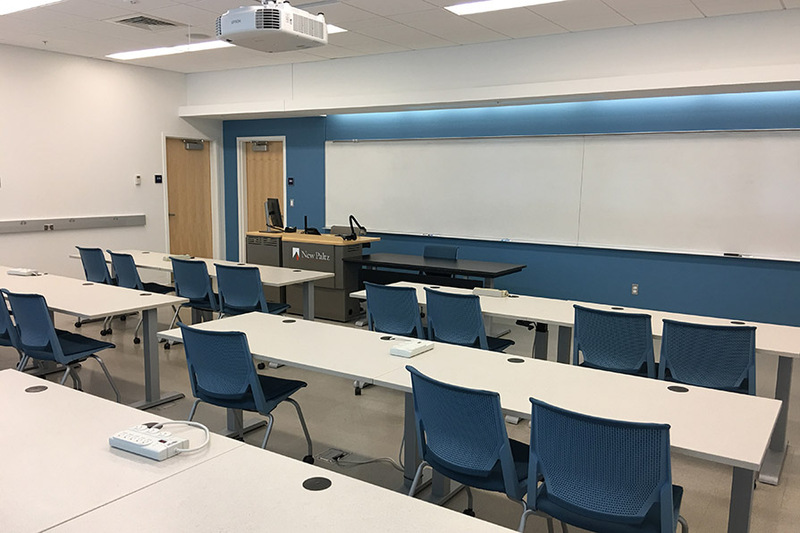 There are several conference rooms and academic classrooms available across campus. General capacity ranges from 25-60 people. Many of these rooms are outfitted as electronic classrooms. 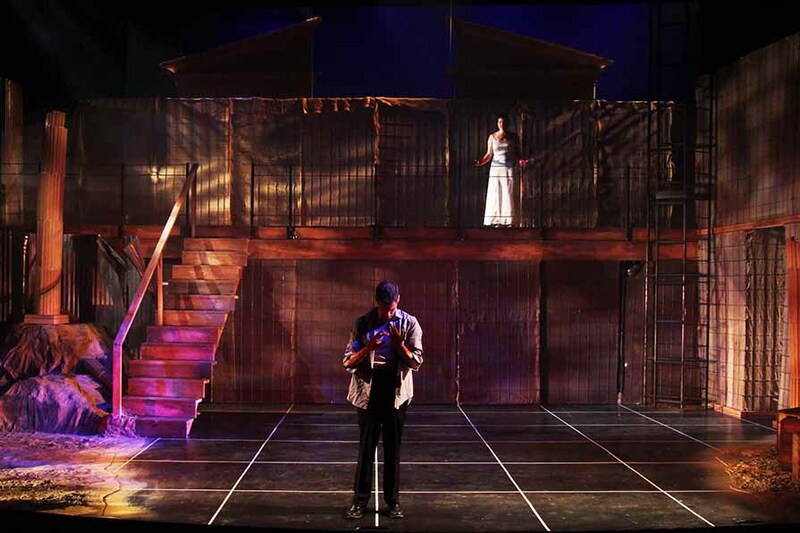 SUNY New Paltz houses three devoted performance spaces which includes the proscenium theatre known as McKenna Theatre, College Theatre and Parker Theatre which hosts the intimate thrust stage. 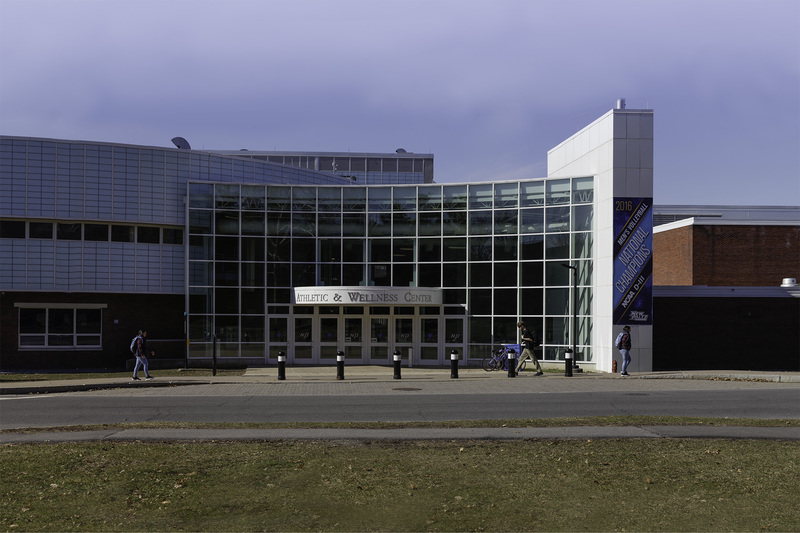 The Athletic and Wellness Center is a 57,000 square foot building which hosts fitness centers, group exercise classes, personal training sessions and health assessments, indoor running track, Elting Gym, racquetball courts and pool.